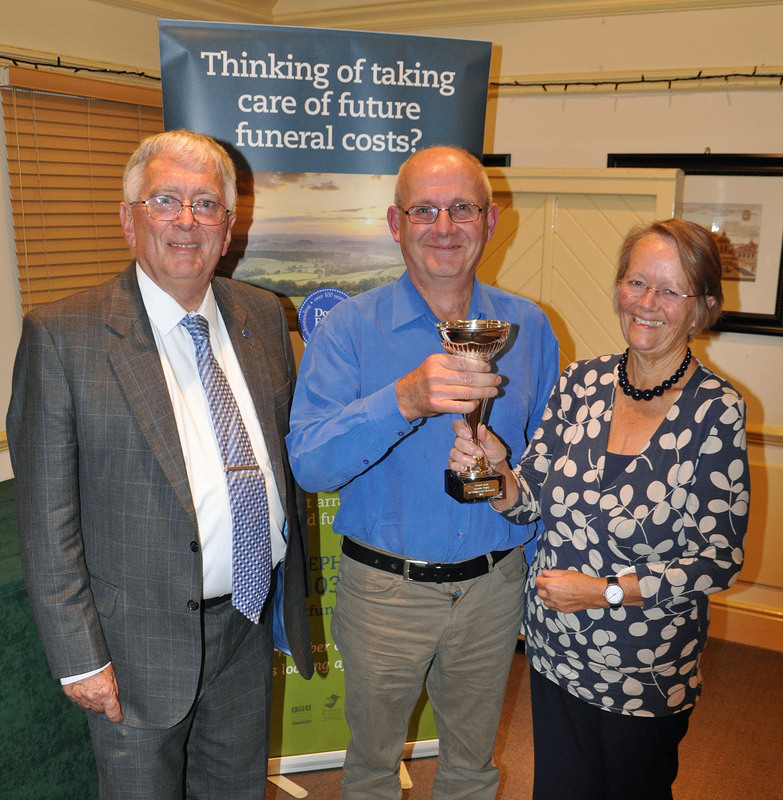 The Jack Douch Memorial Trophy for cricket in the community was won this year by Martinstown Cricket Club, who also picked up £400. From the age of 14 Jack worked for his father’s firm, F.C. Douch and Son in Wimborne, which now has eight funeral branches across Dorset. In 1999 they introduced The Dorset Funeral Plan, which has been sponsoring the cricket league for ten years. Jack’s family decided to mark his passing three years ago with the award for the club that has done most for the game in their community. Martinstown was awarded the trophy – in its third year – because it is a community-minded club which has significantly developed over the last few years. It has created a thriving youth section, an award-winning pitch and has an enviable disciplinary record. Paul House, on behalf of the club, was presented the award by Peter and Judy Douch, from the sponsors and also Jack Douch’s children. Paul said: “It is a great honour to win and the club is delighted to have been presented with this award. “We have a good group of people running the club and as long as we stay together I’m sure we’ll prosper. “There were several clubs in the running but Martinstown really stood out. 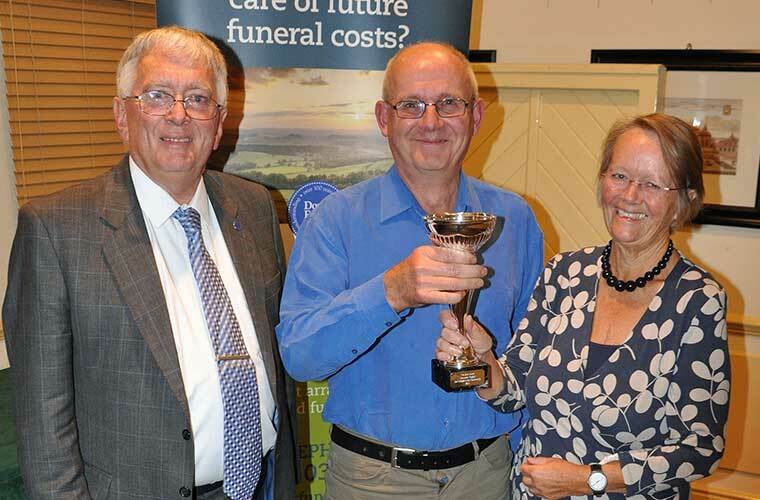 Peter Douch, Chairman of the Douch Family Funeral Directors which runs the Dorset Funeral Plan, said: “Martinstown have come a long way and my father would have been delighted with their progress. “He loved cricket and would be thrilled with the numbers of juniors being introduced to the sport by the club. The award is very much deserved.